The Pasco, a 142-apartment development set across four boutique buildings in Melbourne's Pascoe Vale South. Designed by Point Architects with interiors by Colab Design Studio, The Pasco will feature one- and two-bedroom apartments priced from $315,000. The $56 million development has been designed to be energy efficient, with passive solar heating and ventilation, natural light and a 6-star energy rating. 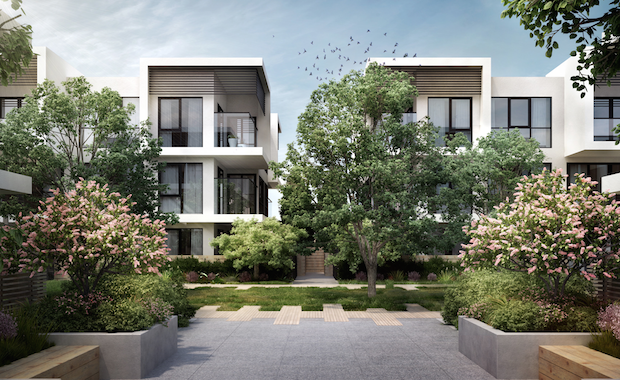 It has embraced nature with over 2,000 square metres of gardens, creating an urban retreat while generous interiors offer a clean, streamlined approach to suburban apartment living.